November 12th – St. Thomas More School. 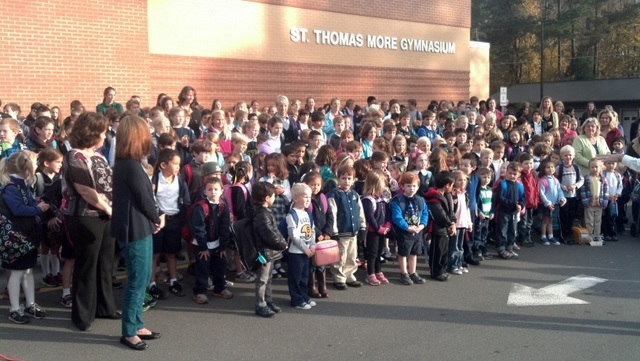 St. Thomas More School has invited Armed Forces personnel and veterans to participate in and be honored at a ceremony at the school on Tuesday, November 12th (the day after Veterans’ Day). This is a very big event and, as you can see from these photos from 2012, everyone participates. It is a fun event that will create a few tears as the youngest students hoist Old Glory and salutes our flag. 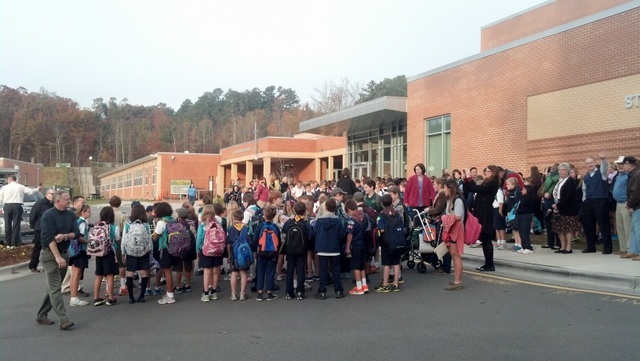 The students welcome veterans, servicemen, servicewomen, active duty personnel, current and former National Guard personnel, etc. Those willing to participate would need to arrive at the school between 7:30 and 7:45 a.m. on the 12th. They plan a brief ceremony indoors followed by a flag raising ceremony outside (weather permitting), then coffee and light refreshments. It should be over by 8:30 a.m., although a few teachers may be requesting some participants to visit their classrooms. As members of the Patriotic Degree, all Sir Knights are asked to participate and support this important school event. The school would appreciate it if you would share this invitation with your friends and neighbors who are veterans and any one else that you think might be interested and willing to participate. Those willing to participate should please email the program coordinator at bedford2@mindspring.com. Participants should please send their name and a brief summary of their military service. The coordinator needs that information by noon on Friday, November 8th, so that he can forward it to the school. They need an accurate count to make proper arrangements for the morning activities.